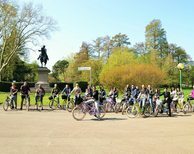 Apericycle Bike Tour is designed to offer you a pleasant moment of insight into the most fascinating hidden bars in Bologna's city centre. In this tour, which starts at evening, you will enjoy the typical Bolognese aperitifs together with your friends. The two scheduled stops will be accompanied by the explanations of a tour guide during the ride, which will show you all the best of Bologna. Already famous for good wine and delicious cuisine, Bologna has added high quality of to its pleasure-loving spirit. Apericycle Bike Tour is designed to offer you a pleasant moment of insight into the most fascinating hidden bars in Bologna's city centre. 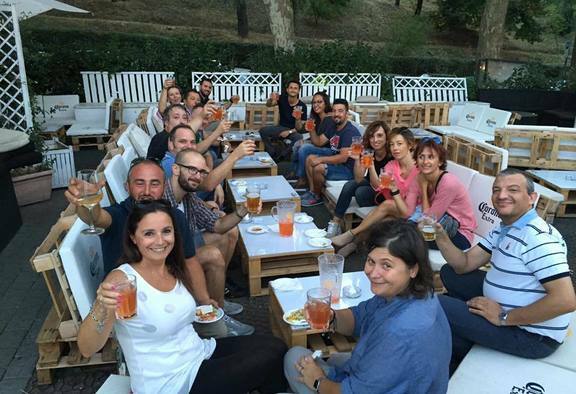 In this tour, which starts at evening, you will enjoy the typical Bolognese aperitifs together with your friends. With the Apericycle Bike tour, you will go around the amazing panorama of Bologna to visit its artistic and architectonic landmarks. Then, you will be then accompanied to two different bars in which you can enjoy Bologna's friendly and pleasure-loving soul. 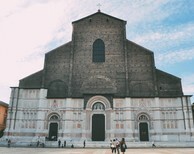 You will enjoy a unique tour and experience through landscapes and cultural vivacity: the two scheduled stops will be accompanied by the explanations of a tour guide during the ride, which will show you all the best of Bologna. We will start at Via dell'Indipendenza 69/a, where BikeinBo, bike rental, will provide the bikes. Thanks to an easy ride throughout the city, you will reach two Bolognese bars, accompanied by the certified tour guide who will show you the city landmarks.